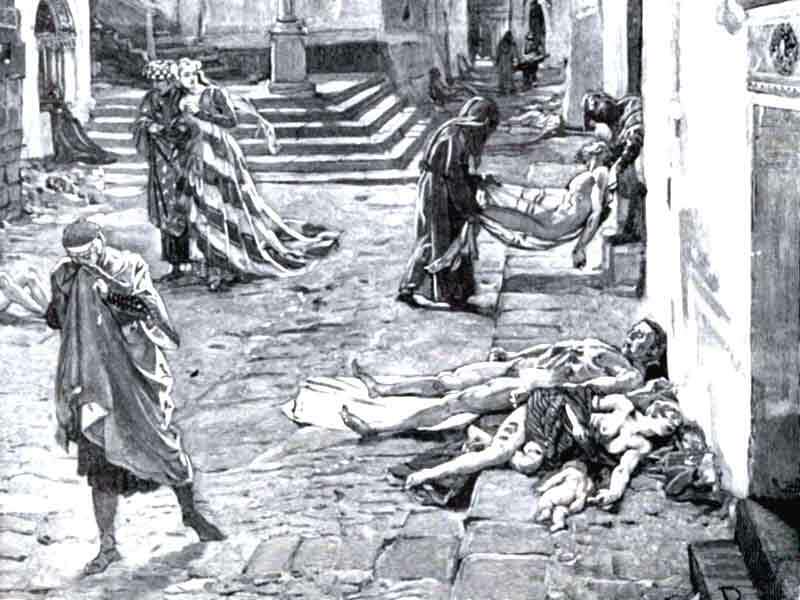 The Black Death or bubonic plague was one of the deadliest epidemics in human history. Coming out of China, it spread quickly and with devastating effects. 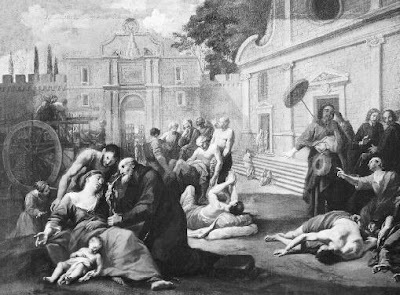 The plague manifested in Europe between 1348 and 1350 and approximately 50 percent of the entire population died because of the pestilence. The Black Death is considered to have been an outbreak of plague caused by the bacterium Yersinia pestis, which has been supported by recent forensic research. The plague manifested in three interrelated forms. The bubonic variant derives its name from the swellings or buboes that appeared on a victim's neck, armpits or groin. These tumors ranged in size from that of an egg to that of an apple. Carried by rat fleas living on the black rats that were regular passengers on merchant ships, it easily reached the Mediterranean. 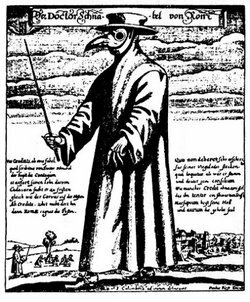 By the end of 1346 reports of plague had reached the seaports of Europe. 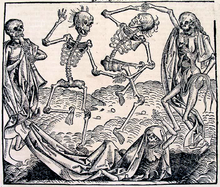 Read more about the spreading and aftermath of the Black Death here. You can also watch a short documentary on Youtube.